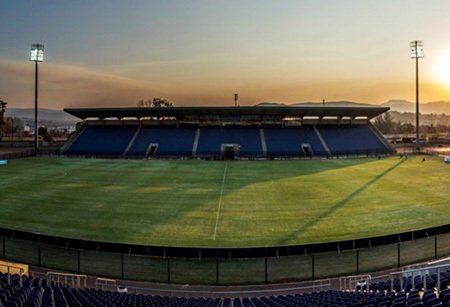 Two late goals from Moroka Swallows resulted in a 2-1 defeat for Maritzburg United at the Harry Gwala Stadium on Wednesday night. It was a first home defeat of the season for the Team of Choice, who ended the day in sixth position on the Absa Premiership standings. The visiting side had the first chance of the game in the fifth minute, but Vuyisile Wana was shot wide of goals. Maritzburg managed to seize back the initiative, but Kwanda Mngonyama and Terrance Mandaza were unable to keep their shots on target. On 28 minutes United opened the scoring through Thokozani Sekotlong, who provided a neat finish past Greg Etafia after great set-up play by Nhlanhla Vilakazi. A set-piece opportunity for Maritzburg almost saw them double their lead a few minutes before the break, but Ghanaian defender Mohammed Awal put his header over the crossbar. The Birds again created a scoring chance for Wana soon after the restart, but once more he failed to draw Virgil Vries into action. Swallows were on level terms when Siyabonga Nomvethe headed home Luvhengo Mungomeni’s 84th minute cross to make it 1-1. Nomvethe completed the comeback when he scored from a Lerato Chabangu assist in stoppage time.